Breakfast is called the most important meal of the day, but it’s often the most overlooked meal of the day too, especially on mornings that require a few extra minutes of sleep. 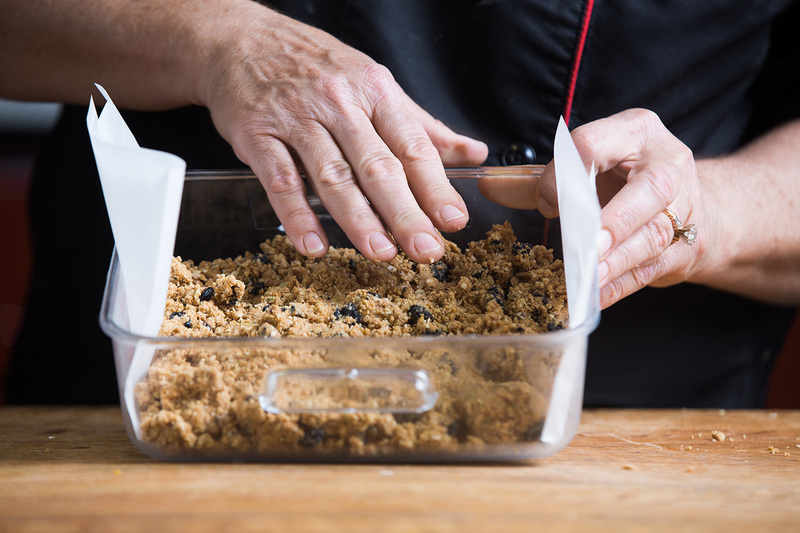 Chef Rosemary Rutland, who once spent her days in the test kitchen crafting new recipes for the Chick-fil-A menu, combines several superfoods for these oatmeal bars, a nutritious breakfast you can bake on Sunday and eat all week long. “The oats and blueberries are full of antioxidants, and the maple syrup and peanut butter add a delicious flavor,” she says. 1. In the bowl of a food processor, combine the oats, nut butter, seeds and maple syrup. Pulse to combine and then add the blueberries. Pulse about eight more times until the mixture is uniform. 2. Line an 8 x 8-inch pan with one piece of parchment or wax paper that drapes over two sides of the pan. 3. Place the mixture into the pan and press down to even the top and pack it together. Cover and refrigerate for at least 30 minutes until firm. 4. To enjoy, remove the bar mixture from the pan by lifting on the ends of the paper. Use a knife or pizza cutter to slice into desired shape such as squares or bars. Wrap or store in a closed container for no more than a week. *Note: Mini chocolate chips or other dried fruit may be used in place of blueberries. Honey can be substituted for maple syrup. Almond or cashew butter may be substituted for peanut butter. 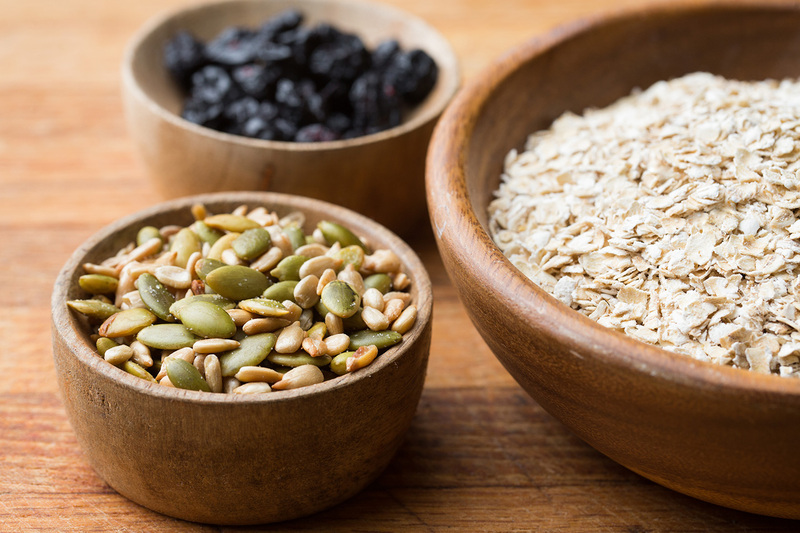 Other kinds of nuts or seeds may be used in place of pepitas and sunflower seeds.